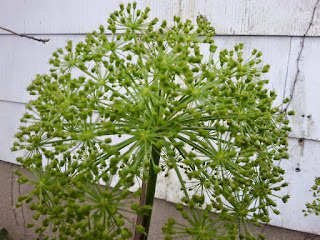 Angelica (pdc: die Engelwatzel, die Engelwarzel, die Angelige; tax: Angelica archangelica) is a very pretty herb. It has a history among the Deitsch as a culinary herb, used frequently as candied stems or jellies in pastries and other confections. The seeds were used to flavor cordials and gin. 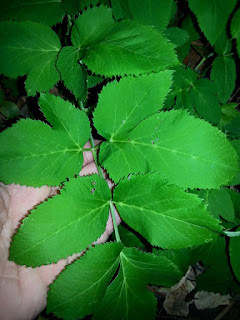 It can also be used as a seasoning much like ground fennel. It has an association with breaking hexes and is an ingredient in an old Deitsch remedy for hysterics. Historically it is used to combat colic (pdc: der Kollick), indigestion, gas, poor circulation, and respiratory conditions. "Take a loth each of anglica root, avens root, root of butter burr, holy thistle, the leaves of betony, and juniper berries, and half a loth of wormwood, and chop it all up very fine. Put this in a large vessel and pour double-rectified brandy over it until it covers the mass by the breadth of a finger. Stop it up carefully and let it infuse fourteen days. Then pour off the brandy and wring out the herb mixture in a cloth to extract all the remaining juices. Keep this infusion for future use in a well-sealed glass container. Take one-half or a full teaspoonful in the morning before breakfast. This is excellent for all manner of cold disorders of the stomach, and for gripes brought on by chills. It also drives for worms and protects against contagion and pestilential fevers." Loth.... There is one of those old measurements... Known as "Lood" (said similarly to "load") in Deitsch, it is roughly equivalent to 16 grams. There is plenty of lore around Angelica's ability to break hexes. The most common method is adding the herb, fresh or dried, to one's bath. Sprinkling the herb along the perimeter of one's property is said to eject unwanted energies. Appealing to the spirit of the plant can result not only in the removal of curses but in protection against the future words of the one casting the curse. 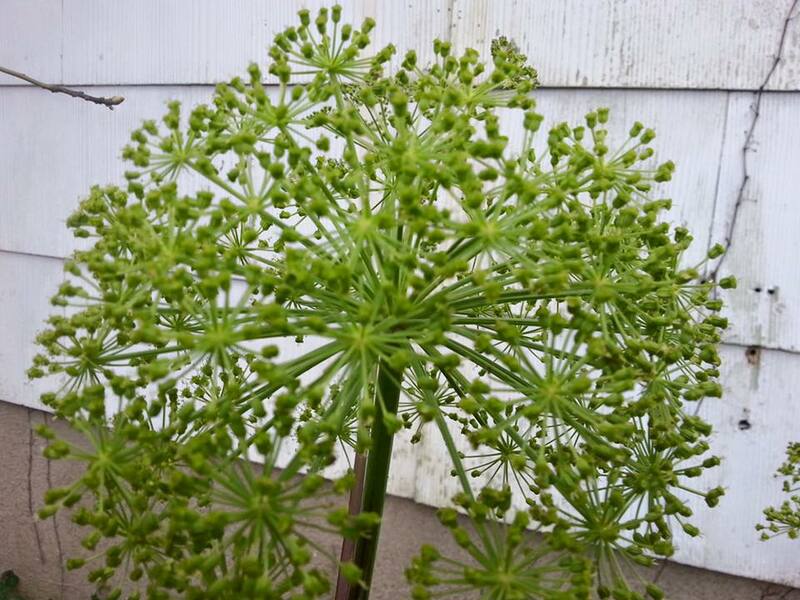 "It has been discovered through everyday use that angelica provides a particularly good remedy for injuries brought about by witchcraft. When a person is a victim of such unnatural afflictions, the following potion has proved especially effective. Take half a handful each of the leaves of angelica, devil's bit, the topmost sprigs of Saint-John's-wort, periwinkle, Venus's goldilocks, and mugwort. These herbs should be chopped fine and put into a large pewter flask with two quarts of fresh springwater and a quart of white wine. Bring this to a boil in a kettle of hot water. Once the infusion has boiled up, let it cool. When cold, open the flask, but not before, lest the properties of the herbs disperse into the air. Strain this through a cloth and administer it warm to the victim, six loths per dose, morning and evening." Weaver, William Woys. "Sauer's Herbal Cures: America's First Book of Botanic Healing." New York: Routledge, 2001.